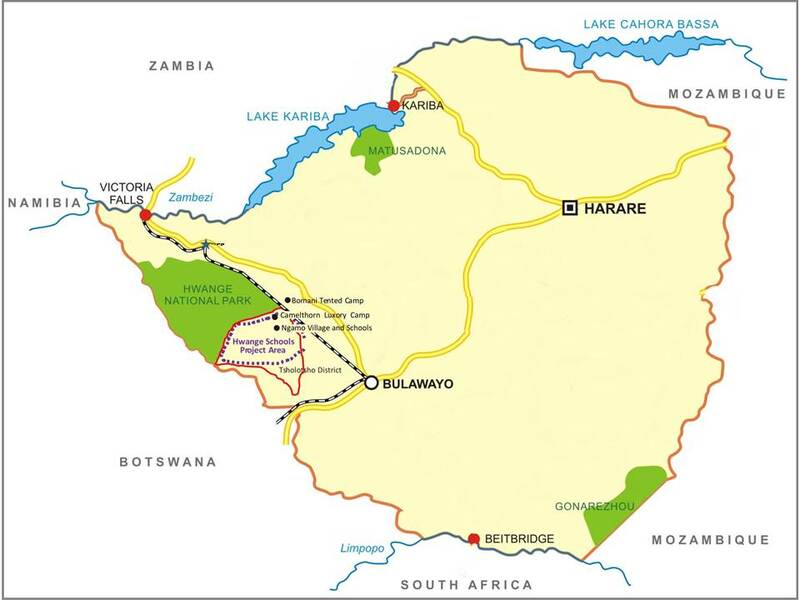 The Hwange Schools Project provides ongoing support and supplies to the teachers and learners of rural schools situated in the Tsholotsho District on the southern border of the Hwange National Park in Zimbabwe. Our partner in this project is Imvelo Safari Lodges who operate in the area and who have enriched the lives of the people who live in these communities by building schools and libraries, providing village boreholes, running mobile dental clinics and much more. We work in close consultation with Imvelo Safari Lodges Community Development Officers who regularly liaise with the schools and communities in this area. Our mission is to improve the standard of English and education in general in the schools in the Tsholotsho District so that the children have a greater chance to participate in the local economy when they are adults.